Maui’s most exciting and longest running luau, with an oceanfront view of the stunning Ka’anapali beach, is a Hawaiian celebration the whole family will savor! Enjoy the aroma of the fresh salty Maui air as the Royal Lahaina Luau tells their story through traditional song and dance of Hawaiian, Tahitian, Samoan, and Maori culture. 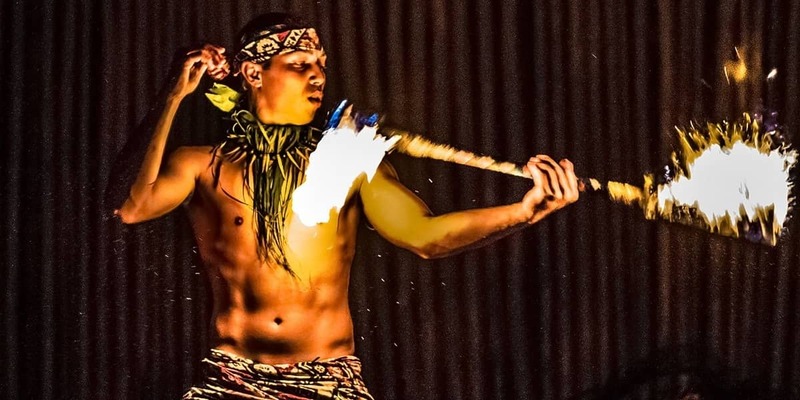 With a death-defying performance by professional fire knife dancers and a tropical feast of your luau favorites from Shoyu chicken to Kalua pork and more, you won’t want to miss the luau of a lifetime! You are greeted with shell leis and welcomed with fresh mai tais upon arrival, which is served all evening long, as well as Blue Hawaiis, cocktails, and more. General Seating Adult $99.00 | Children $52.00 (Age 6-12) Children 5 and under free. One free lei per paying adult admission. Bonus gifts do not apply to child rates or free children. Royal Lahaina Luau is located at Oceanfront Luau Gardens at Royal Lahaina Resort, 2780 Keka’a Drive, Ka’anapali, West Maui. Seating is assigned. However, you will be able to upgrade to first row seating for an additional amount. Preferred Seating also gets you first in line for the buffet. Not all Maui luaus have preferred seating, but the Royal Lahaina Luau in Ka’anapali does! The Facilities at the Royal Lahaina Resort and Luau are wheelchair accessible.